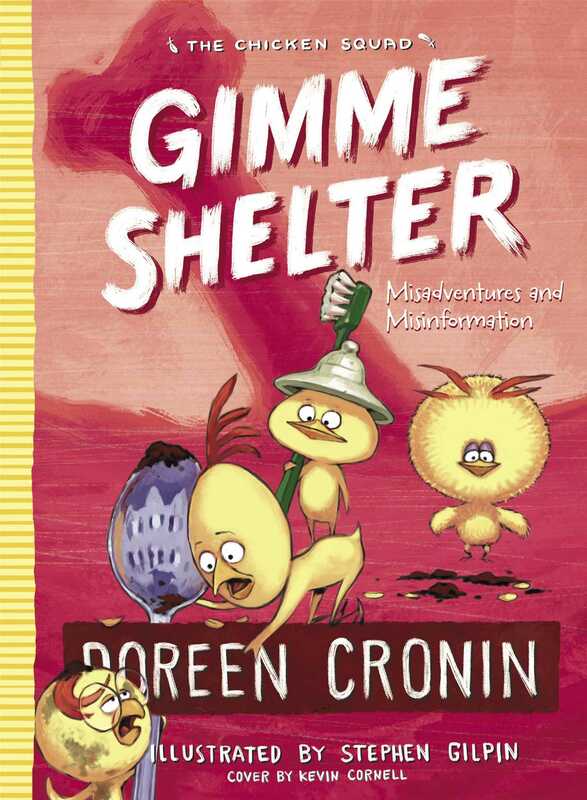 The Chicken Squad is back for their fifth (mis)adventure in this “lip-bitingly funny” (School Library Journal) chapter book from the bestselling author of Click, Clack, Moo and The Trouble with Chickens. The Chicken Squad prides themselves on being ready for anything. Marshmallow life preserves? Check. Copious bags of jellybeans for a car ride? Check. Storm shelter? Storm shelter! They need a storm shelter in case there is ever a storm. So Sugar takes it upon himself to build one in the yard. But it turns out it’s not big enough for everyone. And the big dig has unearthed some mysterious surprises.